TV, PRINT, OUTDOOR, DIGITAL, BRANDED CONTENT & PRE-ROLL, SOCIAL. 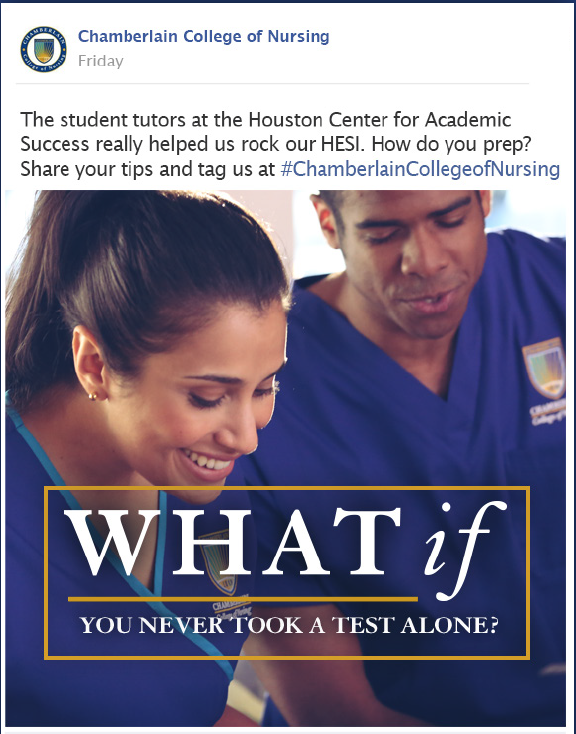 As a DeVry owned nursing college doing business in a highly regulated industry, Chamberlain had to exercise caution in their marketing materials. So we flipped the script. Instead of beating our chests, we made the answers implicit. 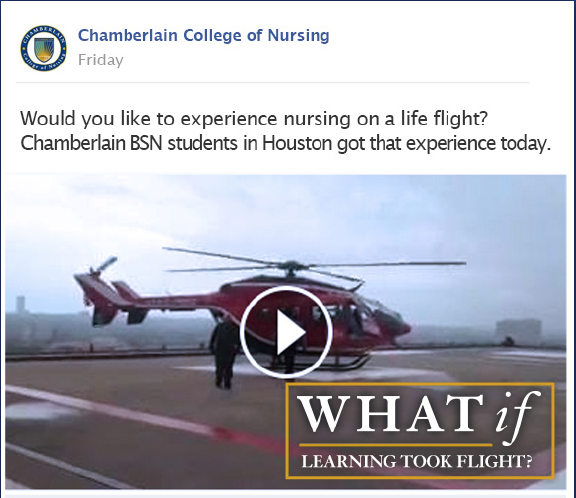 Through the multi-channel ‘What if?’ campaign, we demonstrated all the ways Chamberlain is at the forefront of creating the next generation of nurses who will transform healthcare. We leveraged social to build loyalty within the existing student body and inspire prospective nurses. Multiple partnerships gave us the proof that Chamberlain nurses were challenging the norms and evolving healthcare.